We will be presenting 3 exclusive cabaret performances at our new headquarters - The Garage. 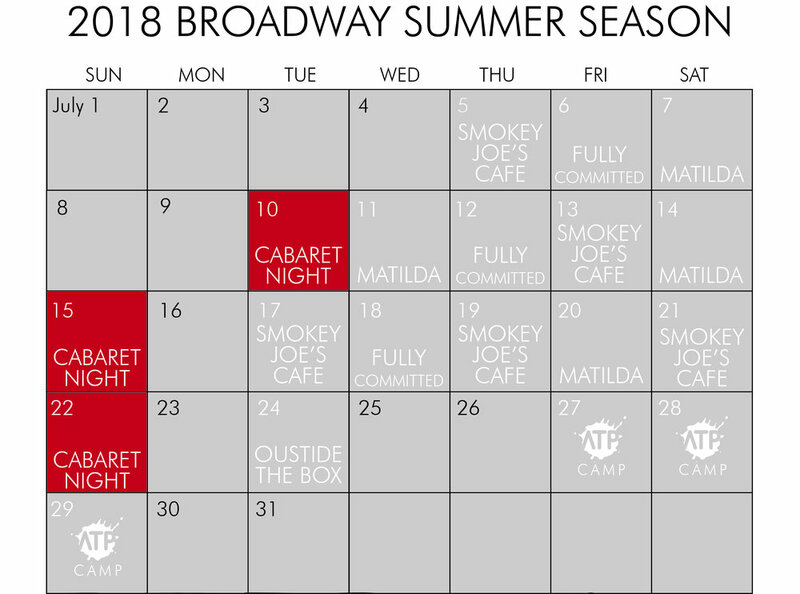 Patrons will enjoy show-stopping performances by our Summer Broadway Artists featuring material hand-picked by the artists, themselves. Enjoy cool summer drinks for purchase as entertainment pops up unexpectedly all around you. Every show is different and only 60 tickets will be sold to each event! Patrons can purchase single tickets to this event, or enjoy complimentary table service when sponsoring a table of 4 or 6!